Jessica Albanese, 20, is passionate about the outdoors. The Delaware native, who lives with limb-girdle muscular dystrophy (LGMD), has navigated several of our country’s natural wonders in her power wheelchair. As the weather gets warmer, the great outdoors will beckon millions of Americans out of their winter slumber. While the natural world can be difficult to navigate for individuals with neuromuscular diseases, with the right preparation and knowledge, there are countless Live Unlimited moments waiting to be had. Outdoor activity comes in many different forms, whether it’s visiting a local park, observing wildlife or camping in the woods. It also offers health benefits beyond helping you stay active. According to a 2015 study, participants who went on a 90-minute walk in a natural setting experienced a greater mental health boost than participants who walked in an urban setting. Plus, being outdoors is a great way to get some sun, a vital source of mood-boosting vitamin D.
Besecker has been to many national parks and even trekked to Mt. Everest base camp (robbesecker.com). But you don’t have to visit faraway places to find adventure, says Cory Lee, who writes about his travels at curbfreewithcorylee.com. 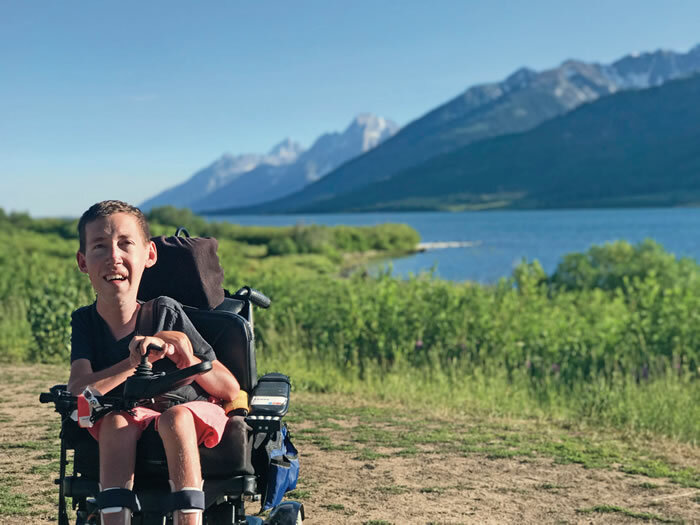 The 27-year old, who has spinal muscular atrophy (SMA) and uses a power wheelchair, is a firm believer that great outdoor experiences can happen right outside your door. For children with mobility challenges, an accessible playground can be an exhilarating experience. Although many playgrounds still are not ADA-accessible, cities and towns are making progress in building inclusive play environments for children of all abilities. Allie Williams, 26, who lives with Charcot-Marie-Tooth disease (CMT), helped design and build accessible playgrounds while she was a student at Louisiana State University. Williams is passionate about giving children of all abilities the opportunity to get outside and play. • Activities: “Look for ground-level activities that children can access without having to get up on raised platforms,” Williams says. • Ramps: “Ramps allow children to access the various platforms and activities above ground,” Williams says. To find out if there is an accessible playground near you, visit accessibleplayground.net/playground-directory. If you are visiting an outdoor destination for the first time, there will undoubtedly be some planning required. Shane Burcaw, 26, who lives with SMA, has traveled all over the country. As a power wheelchair user, he has learned not to make assumptions about a location’s accessibility. “I don’t always trust the word ‘accessible’ since it means so many different things to different people,” he says. • Research, research, research. To find outdoor locations near you, visit your city or state parks and recreation website. Travel blogs and articles are other great resources to generate ideas. • Seek advice from forums and Facebook groups. If you are part of an online community for your condition, ask around for outdoor recommendations. Be sure to ask specific questions that pertain to your needs. If you are looking to get off the beaten path, “The Accessible Travel Club is my go-to Facebook group,” says Lee. • Call ahead. Websites and travel guides may say a location is accessible, but they often don’t provide details. Call the location to learn if it has the accessibility features you need. Also ask about current conditions (i.e., are the accessible trails open and cleared?). • Look at Google Street View. This is a great tool to get a preview of an outdoor location. Google offers views inside some parks, with pictures that are relatively detailed. “This is an especially useful tool for planning my excursions,” says Burcaw. • Send a scout. If you know someone who lives near your destination, ask them to visit the location and take pictures of specific aspects, such as trail surfaces, gradients and any other accessibility-related concerns. For Lee, going outdoors is not just a way to connect with nature, but it has been a great way to connect with people. Of all our country’s natural wonders, our national parks are among the most famous and breathtaking. The National Park Service, which oversees 417 natural and historic areas, offers free admittance to any U.S. citizen or resident with a permanent disability through its Access Pass. To learn more about the National Park Service Access Pass, visit nps.gov/planyourvisit/passes.htm. If you are venturing out alone, always tell somebody where you’re going. Have the phone number of the parks department, a family member/friend or the fire department at the ready in case your wheelchair gets stuck or you fall on an isolated trail. 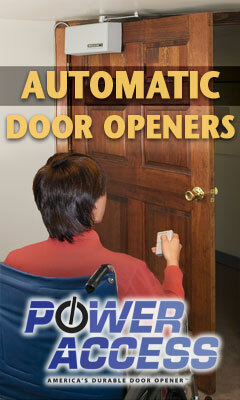 Ensure all electronic devices (wheelchair, phone, etc.) are fully charged before heading out, in case you spend more time outside than you planned. Be ready for wet weather by packing plastic coverings for your assistive device and electronics. Pack extra water if it’s a hot day, and be sure to carry any extra food or medication you might need. Wear sunscreen. Bring the bottle with you, and reapply every two hours. Bring a GPS device or a phone with GPS capability. This way, you’ll never get lost, and if you need assistance, you’ll be easy to find. Chris Anselmo is a Connecticut-based freelance writer living with Miyoshi myopathy. He chronicles his journey with the disease at sidewalksandstairwells.com.